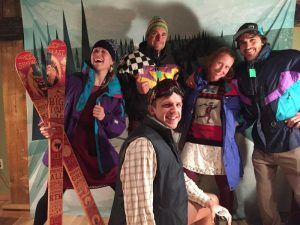 Last week we all had a blast at the Boise SnowBall! SnowBall was a party we sponsored that was put on by the Winter Wildlands Alliance to benefit a program called SnowSchool. SnowSchool is a program that takes classes of young kids into the winter environment, and teaches them about the importance of their local winter wildlands, while giving them hands on experiences. As a company we could not be more excited to be part of such a great cause!